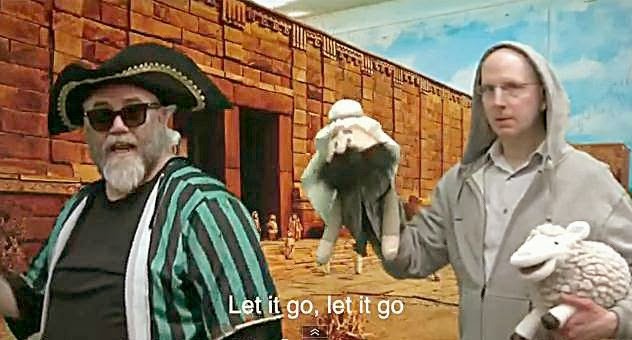 Jewish Humor Central: "Frozen Chosen" - Purim Parody of Oscar-Winning Song "Let it Go"
"Frozen Chosen" - Purim Parody of Oscar-Winning Song "Let it Go"
With all the attention being given to the Oscar-winning animated movie Frozen and its Oscar-winning original song Let it Go, we were sure that Purimshpiels across the country would use it as the focus of a retelling of the Purim story. We didn't have to wait long. Just a few days ago Anshe Emet Synagogue of Chicago posted their version of the song in a Purim music video and we're glad to give them more exposure by sharing it with you. Just in case you're not familiar with the original song (probably because you don't have daughters or granddaughters who have seen the movie five times already), we're including the Let it Go video clip from the movie below the parody version. What's not to like? Both versions seem very well done to me.